DAVID LE/Staff photo. 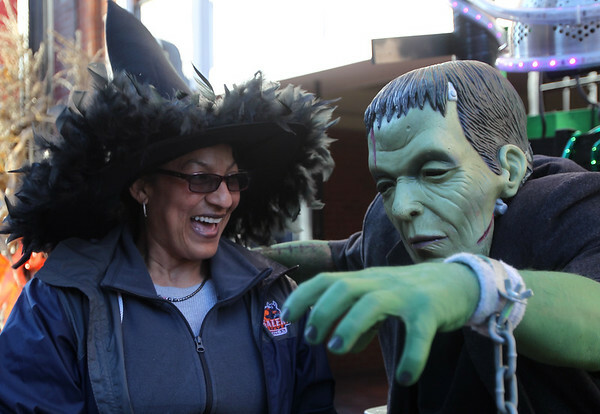 Jackie Yancey, of Lawrence, smiles in surprise while taking a picture with Frankenstein in the Essex Street Pedestrian Mall on Friday afternoon. 10/30/15.